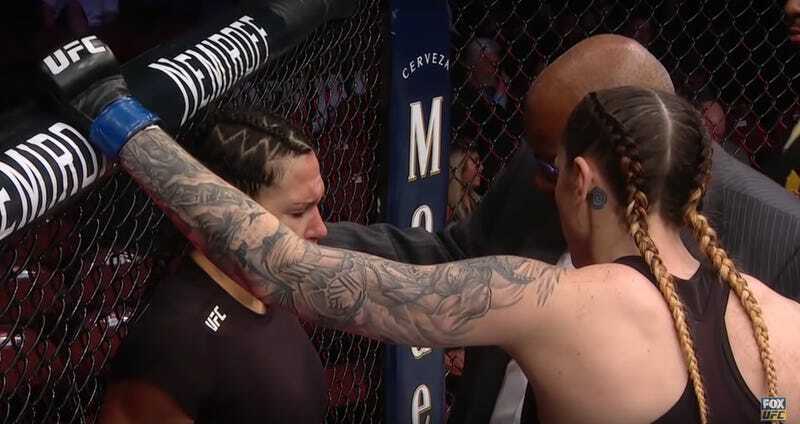 A few fights before Amanda Nunes annihilated Cris Cyborg, towering Australian striker Megan Anderson won her first fight in the UFC, with a first-minute TKO of Cat Zingano that was far stranger than Nunes’s knockout. 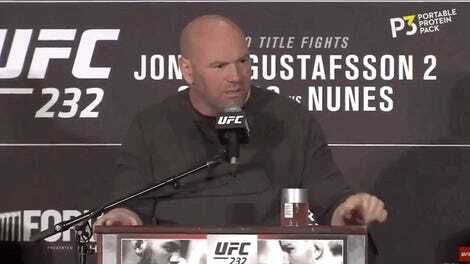 As Zingano was circling away from Anderson’s probing punches, Anderson threw a head kick. She missed Zingano’s head, but managed to jam her big toe straight into Zingano’s open left eye. Andrerson’s strike was deemed legal, as the California State Athletic Commission only prohibits intentional eye gouging and splaying one’s fingers towards one’s opponents eyes. Zingano could not fight on, and Anderson was declared the winner. For her part, Anderson said after the fight that she considered her win legit, but that she’d happily fight Zingano again if the UFC wanted to make the rematch. I have a damaged iris, damaged retina, hemorrhage in the back of my eye, increased globe pressure and of course the laceration. They want me back at the doctor every three to four days to make sure there’s no detachment on the retina. Right now, they have to keep it dilated and on steroids for the next two weeks to keep the pressure down. Good lord, if these two do meet again, whichever commission certifies the fight should institute a “no toes in the eye” rule.